Obituary for Karen Lee McAlpine Swartz | Beach Funeral & Cremation Services, Inc.
Karen Lee McAlpine Swartz, 59, succumbed to cancer after battling MS for many years on February 8th, 2019. She was born in Portsmouth, Virginia to the late Charles and Lee McAlpine. Karen was a graduate of Western Branch High School. 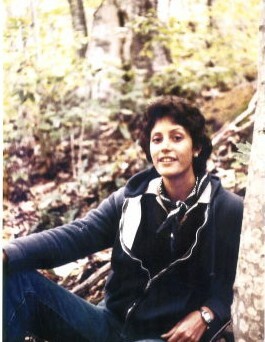 She later attended the University of California at San Diego and law school at the University of Virginia. She had many hobbies, and loved traveling, gardening, cooking, jazz, and especially her beloved dog Cinnamon. Karen also enjoyed being an armchair detective. Left to cherish her memory is her loving husband, Adam Michael Swartz; her daughter, Katherine Becker McEnroe (Hunter); her soon to be born, first grandchild, William Jack McEnroe; her sister, Gwen McAlpine Zimmer (Paul); twin brother, Charles Keith McAlpine (Ginger), and a host of other relatives and friends. In lieu of flowers, donations may be made to the Central & Eastern Virginia Chapter of the National Multiple Sclerosis Society. Private services will be held at a future date.